TALLAHASSEE — In a case stemming from a fatal car accident a dozen years ago, a sharply divided Florida Supreme Court on Thursday backed a jury’s conclusion that GEICO General Insurance Co. acted in “bad faith” in the way it handled a customer’s claim. The 4-3 ruling came in a multimillion-dollar case that has been watched by the insurance industry and trial attorneys. The ruling reinstated a bad-faith verdict against GEICO after the 4th District Court of Appeal had overturned the jury’s decision. Bad-faith litigation has long been a contentious — and big-dollar — issue in the courts and the Legislature. In general terms, bad-faith cases involve allegations that insurers have not properly looked out for the interests of their customers in insurance disputes. Thursday’s ruling in a Palm Beach County case centered on how GEICO handled a claim involving customer James Harvey, who was found at fault in an August 2006 auto accident that killed John Potts. Harvey had $100,000 in coverage under a GEICO policy, but the case dealt with whether a GEICO claims adjuster failed to properly respond to requests for information from an attorney for Potts’ estate. That information involved issues such as the extent of Harvey’s assets and whether he was driving as part of his job at the time of the accident. GEICO sent Potts’ estate a check for the $100,000 in policy limits. But the estate ended up returning the check and filing a wrongful-death lawsuit against Harvey that resulted in an $8.47 million verdict against him. 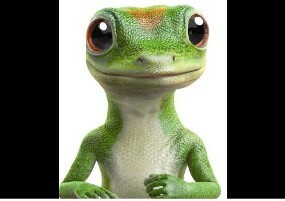 Harvey then filed the bad-faith lawsuit against GEICO about the handling of the claim. The lawsuit led to $9.2 million judgment against the insurer that was overturned by the 4th District Court of Appeal. In Thursday’s majority opinion, Supreme Court Justice Peggy Quince disputed the appeals court’s conclusion that there was “insufficient” evidence that GEICO had acted in bad faith. Quince also wrote, among other things, that the appeals court had not properly applied legal precedents in its decision. Quince was joined in the majority opinion by justices Barbara Pariente, R. Fred Lewis and Jorge Labarga. But Chief Justice Charles Canady wrote a blistering dissent that was joined by justices Ricky Polston and Alan Lawson. As a sign of the interest in the case, it drew friend-of-the-court briefs from the Florida Justice Association, which represents trial attorneys, state and national insurance-industry groups and the Florida Justice Reform Institute, a business-backed group that supports efforts to limit lawsuits. 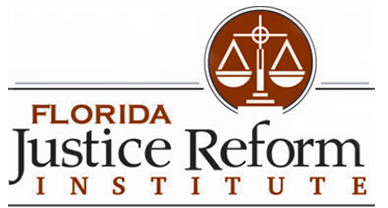 William Large, president of the Florida Justice Reform Institute, issued a statement after the decision that called on lawmakers to address the state’s bad-faith laws.